Since I moved to LA, in 1988, this pristine high vibration place has been the abode of my soul. 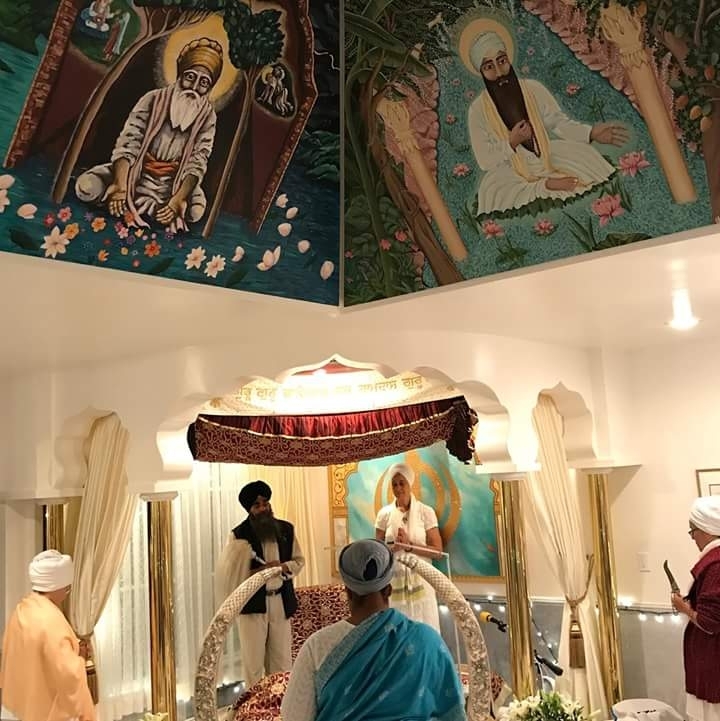 Throughout several years, I created four trapezoidal panels, depicting the first four Gurus: Guru Nanak, Guru Angad, Guru Amar Das, and Guru Ram Das. The space of the skylight at the entrance was once bare, and one day I saw the images of my beloved Gurus residing there. With patience and deep devotion, the Creator guided and sustained me, into manifesting those visions, that will adorn this Gurdwara forever.